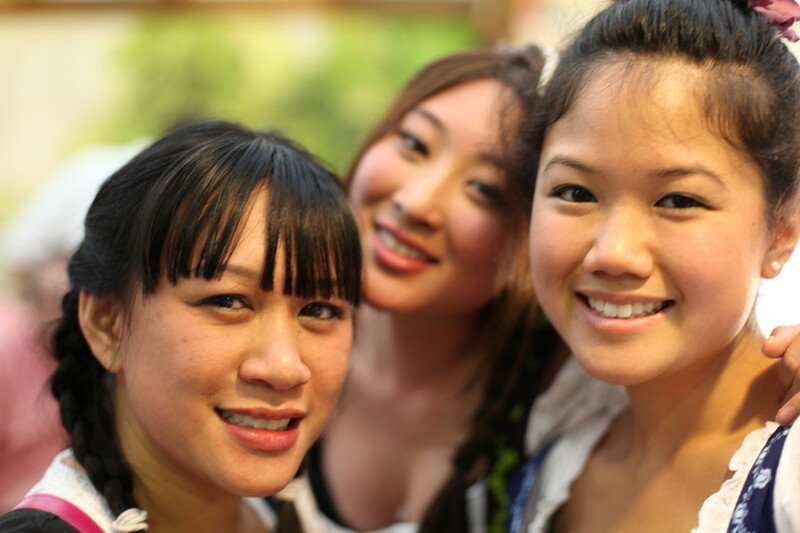 20 blossoms | things we've worn and love: Oans, Zwoa, Drei, G'suffa! 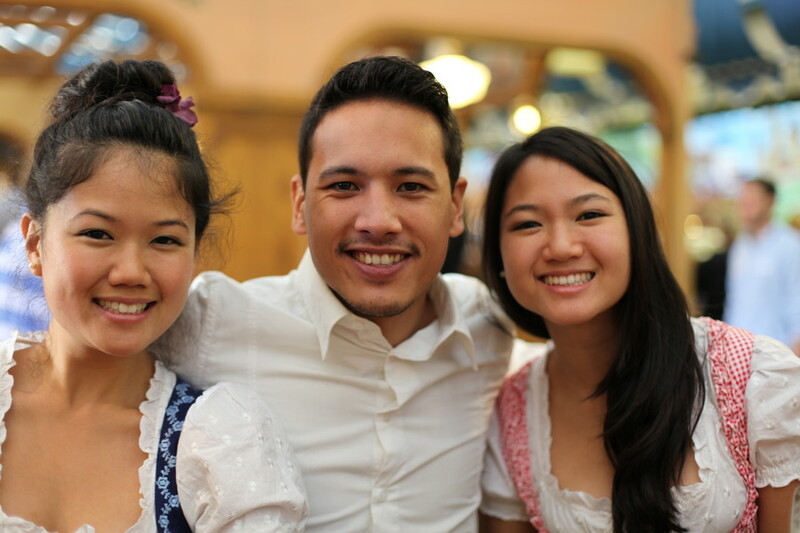 I just got back from Oktoberfest in Germany! The title, as you probably already guessed, means "1, 2, 3, drink!" in the Bavarian language. I was gone for about 10 days.. 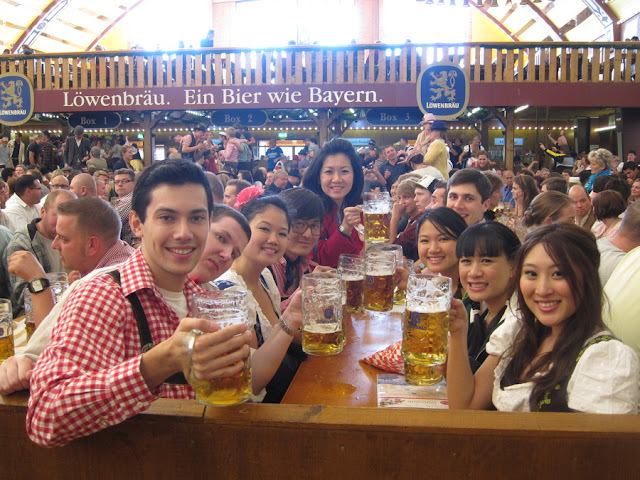 I went with my boyfriend and we met up in Munich with some of my cousins from the US and some of my cousins from Germany and all of their significant others.. we were a huge group of 15 people. 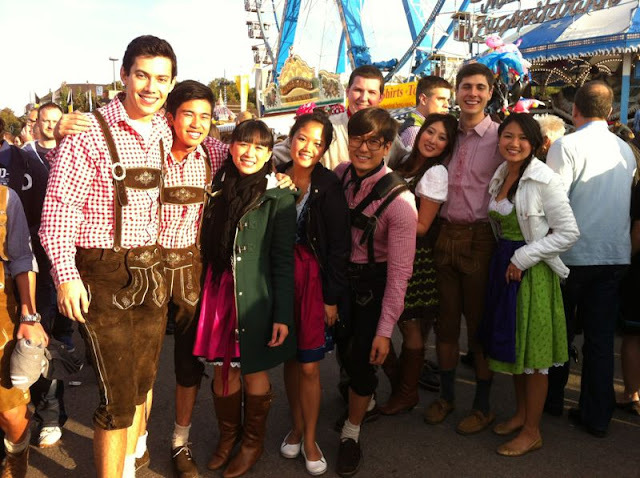 This was my first time at Oktoberfest and I had such a blast! Oktoberfest is kind of like a carnival/fun fair where they have rides, games, and food stands, but the main attraction is definitely the beer tents. There are 10-14 in total and each tent serves its own beer and only that beer. On the weekend, it was so crazy getting in. The doors open at 9:00am and close when the tent reaches full capacity.. which happens at like 9:15! So of course everyone tries to line up early in the morning.. some people are there as early as 6:30am. It's painfully cramped in line until they open the doors and when that happens, everyone makes a mad dash into the tents and tries to get a table for their group. Then after you sit down, the waitresses walk around with beer and pretzels. You can also order roasted chicken or sausage.. mmm it's so good! Beer is offered by the liter so by 10:30, pretty much everyone is completely out of control. There's a live band playing fun polka music so a lot of people are singing and dancing on tables. I learned some German drinking songs too! I also bought my own dirndl to wear. We went on 3 different days, and we met people from all around the world. On the first day, some of us sat next to a group dairy farmers from New Zealand who go on vacation for months at a time! They work really hard for a year and save up all their money, then they go and travel the world like bosses. What a life! Anyway, I had a lot of fun and I would recommend everyone to make the trip if they get the chance.